Social Security's trust fund is in the process of collapsing because it will have insufficient funds available to pay promised benefits. Sound like a Ponzi scheme? That's what many prominent political and investing figures have called it. Whether the system meets a broad definition of Ponzi scheme, at least this "scheme" is one in which you can come out ahead. Charles Ponzi's original setup had a frightfully speedy collapse that occurred after around 200 days. Social Security currently estimates its trust fund won't run dry until around 2036. When Social Security's trust fund does empty, recipients will still get about three-quarters of their expected benefits. For contrast, just ask the victims of Bernie Madoff's Ponzi scheme how tough it is to get money out of a real Ponzi scheme after it collapses. You have time until Social Security's trust fund vanishes -- meaning you can still prepare for that event. Even better, the best way to prepare is to essentially do what you should have been doing anyway: Invest for your retirement. Even if Social Security's trust fund weren't in trouble, the program generally replaces only about 40% of a person's average lifetime income, indexed for inflation. When Social Security's trust fund is gone and the program pays out reduced benefits, the typical recipient will get closer to 30% of average earnings. Unless you're preparing to live on what amounts to a minimum-wage salary, you should already be investing heavily for your retirement. To prepare for Social Security's diminished capacity, you must ask yourself how much of your average earnings you'll need to support your lifestyle in retirement. The general rule of thumb is somewhere in the 70% to 80% range, but circumstances vary from person to person. If you're figuring on 75% -- the midpoint of that range -- then what Social Security's troubles really mean is that you'll need to replace 45% of your salary from other sources. That's up from the 35% you'd have to cover with a healthy Social Security. 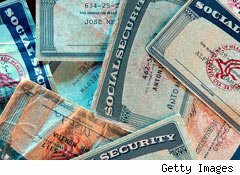 Viewed in that light, planning for the collapse of Social Security's trust fund becomes a fairly straightforward numbers game. 1. Save more: If you can come up with a little bit more every paycheck to put toward your retirement, you can cover that gap. If money's a bit tight right now, you can choose to save part of your raises as soon as you get them. That way, you'll never miss the money you had never seen, while boosting your nest egg to cover your golden years. 2. Work longer: At around 8% returns, it'd take around three extra years of working to cover that gap, perhaps a bit less if you continue to sock away new contributions during that time. Of course, it could take you a bit longer or shorter, depending on both your investment choices and the market's mood. But if you have the option of staying on the job, it's a good way to make up for Social Security's shortfall. 3. Seek higher returns: If you invest a bit more aggressively, your portfolio may be able to grow a few percentage points faster. Those few points, compounded over several years, can add up to some serious coin -- and enough to cover the gap. There are no guarantees in investing, however, and more aggressive investing does bring with it the potential for loss, as well as gain. 4. Live with less: Of course, if you do nothing differently in your retirement planning, you're currently scheduled to wind up with around a quarter less Social Security money once the trust fund is gone. If your general costs of living are low enough that you won't be materially affected by missing that money, then you can simply do without it. Because there are still a couple of decades until the trust fund is gone, all four of those levers are at your disposal, as is the ability to use a combination of those levers to your advantage. The longer you wait to get started, though, the less valuable the investing-related levers will be. Wait long enough, and your choices will be limited to living with less or working longer before retiring. Whether Social Security meets the technical definition of a Ponzi scheme, the net effect to you is the same. The trust fund is running out of money, and you need to plan for a retirement with a smaller Social Security check headed your way. Otherwise, 2036 will be here sooner than you think, and the decision will be made for you, instead of by you. You Don't Have to Be One of Those "Never-Retirees"